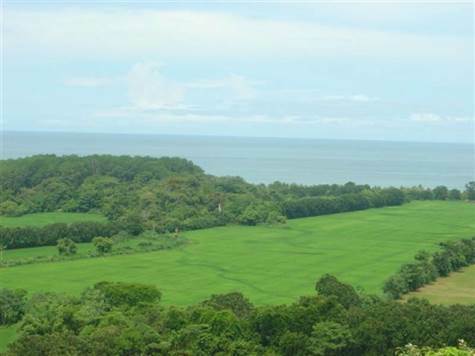 This beautiful beach front property is located in Playa Hatillo, 5 minutes drive north of Dominical, in the Central Pacific side of Costa Rica. The property is ideally located on the newly paved coastal road, and offers a mile long of cinnamon-sand beach. The Hatillo river is running through the property, enabling boating and fishing to future residents and visitors. A master plan for this property is being made by world famous Zurcher Architects, the same ones who designed the famous Los Suenos Resort and Marina. This property also offers breathtaking views of the ocean from a 100 acre ridge which is overlooking the entire property. A true jewel which will not last long on the market, and offers great development opportunity! !